Our recently refurbished Bar and Restaurant make the County Hotel the perfect site to relax the evening away without having to leave the Hotel. Our new a' la carte menu caters for the fussiest of palettes and has an excellent choice of vegetarian options, and a children's menu. You can sit and enjoy a pleasent sea view from our panoramic windows and soak up the friendly atmosphere that makes Christo's enjoyable for all. Sunday lunchtimes sees our locally popular carvery, that with meals starting at just £8.50 for two courses with coffee is unmissable. 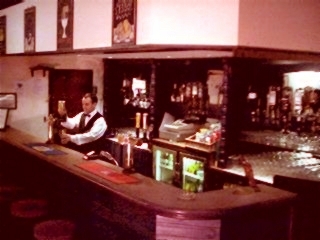 Our bar is well stocked with all beverages, traditional or modern. Fully air conditioned and features a large screen television. We also have a new bar menu to offer you a lighter snack in a more informal environment.